Tonight, I am compelled to write. It’s been a long while that I’ve had the precious few moments I have now to write and share with you. As such, I am exhausted now and so won’t edit this right away; please grant me grace. Much has happened in the past months, as my little one has grown extensively and on so many different levels and layers. I am learning daily. I have come across three (maybe 4) excellent resources for parents in the past season. Some of these have simply been reassuring, while others seem to be uncanny in their timing of critical information as it relates to my present experiences, often brilliantly the very day it is most beneficial to receive the external perspective. I’d like to share them with you and will do so at the end of this post. In the mean time, however, I’d like to share what our family is doing now, and some of the challenges and triumphs we’ve had of late. My daughter awoke the morning of her 4th birthday to discover sand beneath her feet and a very large ocean 50 or so steps away. We took her to Northern California for her birthday and first official family vacation. We managed to land the RV on the coast after dark the night before her birthday, timing it wonderfully for her special day. She squealed with delight (as did her big “sister” who was with us) and ran on the beach for an hour non-stop. What is it about seeing your child run free on the beach, playing in the sand and kelp, jumping over waves and off rocks, and stopping every two inches to explore and discover the many creatures and debris washed up on shore with each new movement of the ocean that just sets the spirit free?! It’s surreal. And much to the dismay of a few in my family, I am thoroughly convinced we belong on the coast (as in our residence) and I intend to make it so. The joy and pure, simple delight I observed my daughter bask in while on the beach, and then wonder and curiosity (and courage) as she relished the giant Redwoods, moved me beyond words or even clear thought for a few days. It was all I could do to just watch and admire as she grew and developed right in front of me. Honoring her right where she was, as she was, and how came as naturally as breathing. I will hold on to that sensation and experience and recall it when reality returns and she and I engage in the daily grind that sometimes generates some rather intense conflicts and challenges for us to overcome. My daughter, all of 4 and a few weeks, is a formidable opponent. I am thankful for this. She speaks her mind, states her intentions, makes known her desires, and stands her ground. She also has the compassion and empathy of a wise old woman, weathered and tendered from a lifetime of choosing to find the beauty and bestow the love that can be found and given. I am starting to see another trait in her that, while it is not at all surprising, it is quite intriguing to me. My little one has a sense of justice that rivals my own, and is very insistent on her need for it to be recognized and respected. It is a very effective method of me having to be genuine and fair consistently. And though at times this aspect of her being is aggravating from the adult perspective, when I stop and see through her eyes, our world takes a shape that allows me to re-evaluate my actions/thoughts and create a sense of peace and justice for her that I’d not otherwise have bothered to generate. Lately, my daughter has been exhibiting some significant feelings. In short, she’s demonstrating anger. I assume it is related to the many transitions, and the seemingly endless list of tasks her father and I must accomplish while still making sure we are available to play (and inviting her to play as well). She also wants a sibling, which is an interesting point of debate she and I have gone rounds over. Her feelings are big, her actions are intense, and her ability to communicate clearly grows daily. She senses things more than even I had realized, and she is in a stage of mimicry that is as precise as it is intelligent. As a result, her father and I are reviewing our own behaviors and actions almost constantly now and working where work is required. I hope to begin chronicling our daily experiences that might be useful to you all again soon. I understand that the dialog and interplay relayed in story form seems to be the most appreciated and useful, so I will endeavor to allocate an appropriate amount of time to write. And as I’ve said before, it is valuable to have your feedback as it encourages me to share, as well as provide invaluable perspective to me and to each other. Thanks for taking the time to see the world through your little one’s eyes tonight. May your day tomorrow be intentional, and may your child(ren) know you (the internal you) in a way that comforts them and renews their security and self-esteem. Wholly respected and loved without condition… imagine what can happen in a single generation. When children use oblique ways to get attention, such as causing a ruckus, exaggerating or feigning their hurts, picking on other children, showing off, being coquettish – they risk being ignored or put down, as nearby adults roll their eyes in exasperation. Sometimes, this also happens to children even when they directly and openly call for the attention they crave. Instead of scorning the child, why don’t we ask these questions: When a child is being manipulative, instead of direct, how did he learn to do this? How did he come to feel that he shouldn’t openly ask for a hug, an answer to his question, sympathy or just to be noticed or played with? All children begin their lives with complete frankness about their needs. 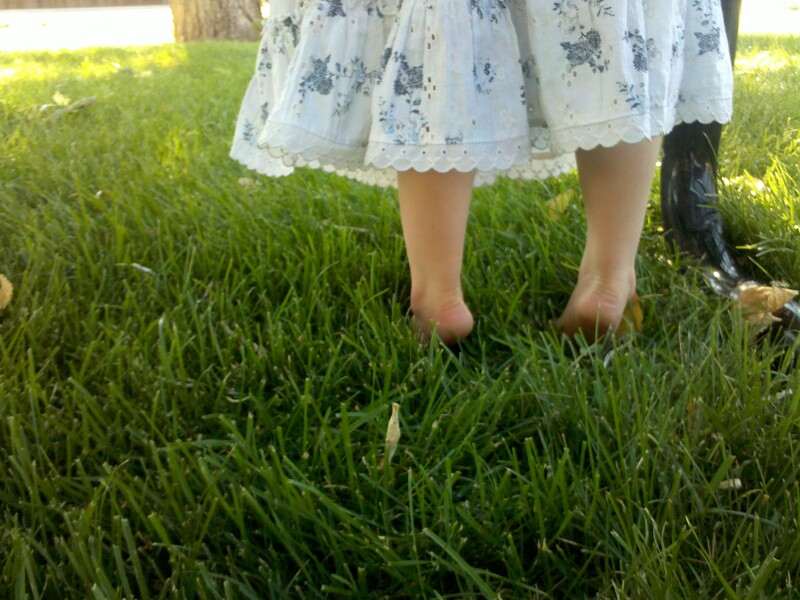 Babies and toddlers reveal their longings with no compunction: what you see is what you get. If a child reaches out for attention and for warmth and she gets it, her ability to be open and directly assertive is reinforced. By begrudging our children’s healthy attention-seeking behaviors, we unwittingly train them to be indirect. We leave them little room for much else, so they go for the attention they need and deserve through the back door. We unwittingly train our children to be indirect. Our society tends to consider children’s needs for attention as a bother. No wonder children become indirect attention seekers, some even going to great lengths to fall ill or get injured in order to be noticed. Children who have too often been denied attention can become insatiable, as if no amount of limelight ever fills their cup. Attention is life-giving, a basic need and a human right. Children deserve all the attention they want.When you wholeheartedly give a child the attention she asks for from the beginning, she soon has her fill. This is precisely what helps her to become more autonomous. As she grows, she asks for less of your attention (research shows that well-attached babies grow into children who are more independent), and when she does want attention, she asks directly, boldly and clearly. Time and time again children are heavily reprimanded for committing the offense of crying or being angry. Let’s get this straight: emotions are not bad behavior. Emotions don’t hurt anyone. Suppressing children’s emotions does, on the other hand, cause them harm: over time, if done repeatedly, it unbalances their brain chemistry, it stresses their immune and digestive systems, and it undermines their ability to relate to others. Emotional censorship starts early. One of the most common things we say to a crying baby is “Shhh!” We say it soothingly, but why exactly do we shush them? Think of all the lullabies that start by telling our little babies to “hush”, and “don’t you cry”. Have you ever paused to wonder why, in trying to comfort our babies, we ask them to be quiet? It seems as if the first thing we want is for the crying to stop – instead of connecting with our baby until the reason for crying has gone. Attention is a basic need and a human right. Instead of berating your child for feeling her feelings, give her the space to feel, and comfort and support her if she needs it. Sometimes when our children cry, sob or yell in anger we feel overwhelmed, irritated or burdened. Our children don’t deserve the blame for this. When our child’s emotions press our buttons, we need to own the problem. We need to somehow honor our own need for support or rest without making our children responsible. The listening I am talking about here is not just about receiving and storing information, not just about remembering what your child said. I am talking about listening with your heart, not just with your ears. Real listening is all about feelings. All you need to be a good listener is a genuine interest in your child’s emotional world. When you truly want to hear, no special skill is needed. Your child senses your interest in the tone of your voice, in your body language and the look in your eyes. You know you have listened when you feel moved. You might feel compassion, protectiveness, you might feel some pain about your child’s hurts, pride or excitement about his achievements, or joy to meet his joy. Listening means letting yourself feel touched somehow, and being aware of the feelings that move through you. Real listening is all about feelings. Sometimes listening comes easy. You find yourself intently listening in stillness, without even having decided to, and there is a wonderful and natural flow between you and your child. But sometimes listening can be hard. Our children’s emotions spark off our own, and in discomfort we turn away, or we try to talk them out of their feelings. Whether it’s because we cannot bear to see our children in pain or because they are freely feeling something that we were never allowed to express – anger, joy, sadness, fear, passion – we block them out, we nip the connection in the bud. Anyone can be a profoundly good listener. I remember the embarrassment many of us felt as students of counseling psychology as we awkwardly practiced our listening skills together in the classroom, how often we appeared to be listening, while inside we were miles away, disengaged from the person speaking to us. It was often funny, and always quite confronting, to ask ourselves and each other: Are you listening right now, or just nodding your head a lot while you wait for your turn to speak? Are you actually listening, or sitting in judgment? Are you really listening, or just taking mental notes and storing facts? Are you listening, or just thinking about how you can change me? How often we tell ourselves we are listening intently when in fact our minds are wandering elsewhere. It is unlikely that consistently good listeners exist. For most of us, good listening is a skill that comes and goes with our fluctuating moods. All counselors, psychologists and anyone in the helping professions are imperfect (and sometimes lousy) listeners, and we should be honing our listening capacity for the rest of our lives. It is humbling to note that anyone can be a profoundly good listener without any training whatsoever, since all it takes is an open heart and an interest in the other person. Our children’s disappointments make us feel guilty. Downplaying Oh, don’t cry. I’m sure it’s not that bad! It’s not the end of the world. Denial There is nothing wrong; nothing for you to be upset about. Everything is OK. Reasoning Don’t cry. Can’t you see that the other child didn’t mean to hurt you? The positive spin Look on the bright side. Can’t you see, this probably happened for a good reason? Cheering up Don’t worry. Here, let me tell you something funny I heard the other day. Here, have an ice cream. That’ll cheer you up. Advising/giving options Why don’t you try doing this, or that? I think you should just ignore that so-and-so. The expectation You should have known better. Get over it. Don’t let it get to you. Put down Don’t be silly. Don’t be ridiculous. Diagnosing/labeling You are being over-sensitive. Distracting/diverting Hey, have a look at the pretty puppet. Stealing the thunder Now you know how I felt when the same thing happened to me. As you can see, on the surface most empathy blockers are not malicious, they are not ostensibly attempts to shame the child, and sometimes they can even be well intentioned, but they do not help the child to feel heard and connected to you. It might seem surprising, even bewildering, to hear that when you try to cheer up a child who is upset, this can often backfire – she might even feel more distressed, even angry. This is because she feels that her feelings are not accepted when what she actually needs is support for feeling the way she does. If this is hard to understand, then think of the last time you felt deeply upset, offended or anxious and someone told you to lighten up. How did that make you feel? Empathy blockers leave anyone on the receiving end feeling shut out and frustrated, and as if there must be something wrong with them for feeling the way they do. Our children just want to be heard. Take a few moments to check this out for yourself. Have you ever heard yourself use one, a few or perhaps even all of the above empathy blockers with your child? How did your child respond? Can you imagine what you could have done instead? Now, in case you’re tempted to become self-critical, remember: we all put up barriers to listening from time to time. Those of us who teach others about empathy blockers know them too well because we’ve used them so much ourselves. By the way, not all of the responses in the table above are always inappropriate. There sometimes is a place for advice or a helpful opinion, but unless we take the time to hear our children’s feelings first, advice comes too soon and it alienates our child from us. Before jumping in with advice, we need to ask our children if they want it. The most important thing for us to get is that primarily, our children just want to be heard. First and foremost they want evidence that they are not alone, that someone sees how they feel and cares about them. This makes more of a difference than all the advice in the world. Empathy blockers really muddy the connection between parents and children; they create detachment and distance, and they frustrate children’s attempts to reach out. The more we use empathy blockers, the less our children are inclined to come to us with their feelings, the less they want to tell us about their lives and the less they want to listen to us. When we are concerned that our children don’t listen to us, perhaps we need to take an honest look at how well we have listened to them. Listening is at the heart of connection. It is sad when blocked empathy diminishes our sense of closeness with each other, and particularly worrisome when our children feel lost or in some kind of trouble but don’t turn to us for help. Our children’s trust in us is a function of how safe they feel to open up to us without feeling manipulated, expected of, judged, put down or criticized. Listening is at the heart of connection, and if we can’t listen well, we cease to be an influence in our children’s lives. Yesterday I talked about the concept of how our society uses the term “Listen” with our kids. In our home, we use ‘listen’ differently than what I have observed in the majority of families with whom I’ve come into contact. In our home, when one of us says ‘listen’, what is actually being said is, “Please stop a moment, I want to share my heart, the thoughts that are really big in my mind right now. Please, look at me, hear me with your ears, and hear me with your heart. I want to connect. I want your acknowledgement. I am needing your validation of my feelings and thoughts at this moment/on this topic. And once I finish sharing my thoughts, I want to receive your response and share a conversation about this…”. So, you won’t hear us say “Listen to me” unless it’s important and we expect to have an in depth conversation (kid to adult, kid to kid, adult to adult). Further, the “listen to me” aspect will be with a “please” because it is a request. Always. In limited instances however, you will hear one of us say, “Please do/don’t _____________; I expect you to comply/expect your compliance.” Then, immediately following (or as soon as possible), we will provide a concise explanation for the expectation if it is beneficial or requested. When a communication is delivered in our home without the “expectation of compliance” as a part of the entire message, everyone knows that a request is being communicated. Everyone also knows they have the right to deny any request, or grant any request. This is universal; there is no double standard where the parent can deny a request but the child can’t, for instance. Do we always interact with this concept being the underlying and motivating factor? Are we explicitly consistent? No. We (big people and little people) screw it up sometimes. Humans ability to use manipulation is uncanny… And we are not perfect, nor do we intend to be. However, each person (and dog) in our home knows deep within them the value we hold for one another, as well as the value of consistency and forthrightness. We each know that it does not feel good to be on the receiving end of manipulation, and it is our responsibility to make the conscious choice to not allow ourselves to be in the position of delivering an attempt at manipulation. Sometimes we fail. When that happens, acknowledgement is what makes the difference.. That acknowledgement begins as an internal acceptance of something that requires adjustment, followed by that same awareness being communicated outwardly to all involved. When compliance is expected, the communication is never delivered as a request, it is always delivered as a command, and phrased in the format the child is accustomed to. The command is always communicated with the expectation of compliance as a part of the entire communication. The “comply” aspect is not one that is resorted to (or tacked on) in the event the child doesn’t give the adult what is expected/wanted. This is crucial. Kid, I want you to do/not do something. Kid hesitates.. doesn’t choose to do as the communication indicates. Ok Kid, since you didn’t decide to give me what I want, I’m going to now say, “comply”. This sort of approach is unfair and does not uphold the child. Why? Because the adult is retaining an upper hand that they perceive they have due to their size/age/status/etc. By phrasing as a request what is actually a command for which compliance is expected, they are being manipulative. When the child, who interprets the communication as a request (because it wasn’t clearly delivered as a requirement initially), and chooses to deny it (for whatever their reason), is then forced to accept that the autonomy (self-governing) and right to choose he believed was his was actually never there, he can experience everything from confusion, to betrayal, to a much decreased sense of self. When the adult uses manipulation and then resorts to dominance to force compliance, they are stripping their child of his autonomy. It’s insulting and demeaning, and undermines the child’s internal reasoning and sense of self. In the mean time, what scenarios can you recall when you and your child successfully interacted on an almost innate/intuitive level – where they sensed your dire need for their compliance, and they granted it (whether threat of physical or emotional harm – which is equally valuable). Please share your experiences. Time and time again children are heavily reprimanded for committing the offence of crying or being angry. Let’s get this straight: emotions are not bad behavior. Emotions don’t hurt anyone. Suppressing children’s emotions does, on the other hand, cause them harm: over time, if done repeatedly, it unbalances their brain chemistry, it stresses their immune and digestive systems, and it undermines their ability to relate to others. Reposted from here – Please, take a moment to read and visit the originating site. Many of us who have every good intention toward our children may find the need to re-evaluate the environment their children are developing in. With grace and patience for oneself and others, honestly reflect on what is written here and in your own home. The ultimate goal here is to give our children an environment that honors, respects, and builds up. To never diminish. To love and cherish, without condition. And to do so wholly and in action, not simply intent. HOW DOES EMOTIONAL ABUSE HURT? The effects of emotional abuse are often silent. Verbal and psychological wounds leave a child forever changed. Emotional abuse is often overlooked, unnoticed or confused with other causes. Emotional child abuse attacks a child’s self-concept. The child comes to see him or herself as unworthy of love and affection. The wounds of maltreatment, in children who are shamed, I can’t believe you embarrassed me like this!,” humiliated, “You idiot!,” terrorized, “You’re really gonna get it now!” or rejected, “Go to your room!” are as equally significant, although seemingly invisible and harder to recognize or quantify than the wounds of the worst physical and sexual abuse. An infant who is being deprived of emotional nurturing, connection and bonding through close contact, even though physically well cared for, can fail to thrive. Less severe forms of early emotional deprivation still can produce drastic effects of emotional abuse such as babies who grow into anxious andinsecure children who are slow to develop and who may fail to develop a strong sense of self-esteem. Other types of abuse are usually noticed because marks or other physical evidence is left, however, signs of emotional abuse can be very hard to define. In some instances, the effects of emotional abuse are so subtle that an emotionally mistreated child may show no outward signs of abuse. For this reason, emotional abuse is the most difficult form of child maltreatment to identify and stop. This type of abuse leaves hidden scars that manifest themselves in numerous ways. Insecurity, poor self-esteem, destructive behavior, angry acts such as fire setting or cruelty to animals, withdrawal, poor development of basic skills, alcohol or drug abuse, suicide and difficulty forming relationships can all be possible results of emotional abuse. Emotional child abuse can result in other more serious psychological and/or behavioral problems. These include depression, lack of attachment or emotional bond to a parent or guardian, low cognitive ability and educational achievement and poor social skills. One study which followed emotionally abused children in infancy and then again during their preschool years consistently found them to be “angry, uncooperative and unattached to their primary caregiver.” These children more often also lacked creativity, persistence and enthusiasm. The effects of emotional abuse in children who experience rejection demonstrate that they are more likely than accepted children to exhibit hostility, aggressive or passive-aggressive behavior, to be extremely dependent, to have negative opinions of themselves and their abilities, to be emotionally unstable or unresponsive, and to have a negative perception of the world around them. Parental verbal aggression (e.g., yelling, insulting) or symbolic aggression (e.g., slamming a door, giving the silent treatment) toward children can have serious consequences. Children who witness abuse in relationships or emotional spousal abuse demonstrate higher rates of physical aggressiveness, delinquency and interpersonal problems than other children. Children whose parents are additionally physically abusive are even more likely to experience such difficulties. are victims of emotional abuse. Growing up in such an environment is terrifying and severely affects a child’s psychological and social development. Male children may learn to model violent behavior while female children may learn that being abused is a normal part of relationships. This contributes to the intergenerational cycle of violence. The consequences of emotional child abuse can be serious and long-term. Emotionally abused children may experience a lifelong pattern of depression, estrangement, anxiety, low self-esteem, inappropriate or troubled relationships, or a lack of empathy. As teenagers, they find it difficult to trust, participate in and achieve happiness in relationships, and resolve the complex feelings left over from their childhoods. As adults, they may have trouble recognizing and appreciating the needs and feelings of their own children and emotionally abuse them as well. Peaceful Parenting is often misunderstood, because it does not look like any form of discipline most of us grew up with. But what then is peaceful parenting? To discipline means to teach and what peaceful parenting strives to do is to delocalize this teaching experience from the realm of the parent to that of the child. Thus discipline becomes about learning instead of about teaching, with parents acting as an interpreter and a guide. Peaceful parenting is not about imposing discipline, but about internalizing it, by helping your child deal, understand grasp and handle situations and emotions. Peaceful parenting can only work when parents obtain a profound understanding of their child and also of themselves. Most of the effort in achieving functional parenting will be directed to the avoidance of having to result to disciplinary measures, which implies knowing one’s triggers, both yours and those of your child. In fact, punitive measures are most often generated not so much by the child’s behavior, but by the parent’s response to that behavior or by the parent’s perception of societal responses to that behavior. These mechanisms make punitive parenting completely arbitrary and thus ineffective. It becomes clear that parenting peacefully is not a one way street. Parenting, in a peaceful manner, is most about communication than anything else. Internal communication of the parent about his triggers, reactions and expectations and communication (verbal or not) with the child about these same issues. In conclusion, peaceful parenting is about avoiding triggers and when they are activated, about helping each other overcome them, in order to – eventually – learn to deal with ones triggers internally.